I first photographed Chuck Palahniuk a decade ago as the Fight Club frenzy simmered and enthusiasm for his new book Choke swelled. He was hanging out in the aisle at Powell’s signing random copies of his own books. With more than a dozen books to his name now, he has a huge following. 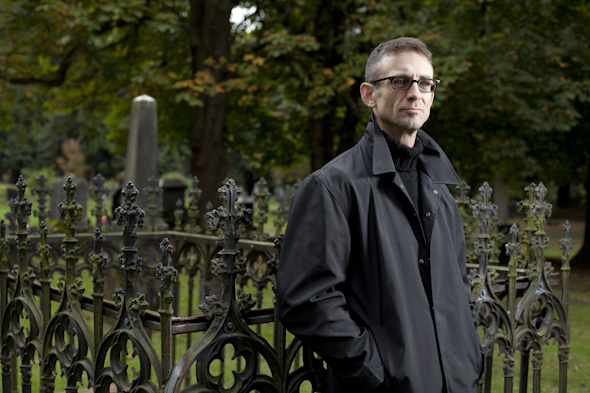 Just before we met at an historic cemetery in Portland, Palahniuk had spent several days in a warehouse signing thousands of copies of Damned as he prepared to head out on a long book tour. 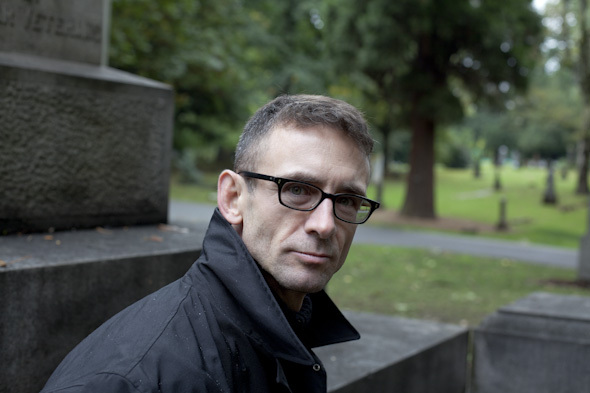 The Minneapolis Star Tribune featured Palahniuk in their Talking Volumes series. You can read that story here. This entry was posted on Friday, March 9th, 2012 at 12:22 pm. It is filed under assignments and tagged with cemetery, freelance, labarge, palahniuk, photographer, photojournalist, portland, portrait. You can follow any responses to this entry through the RSS 2.0 feed.